Qin Shihuang was the first king who politically unified China. 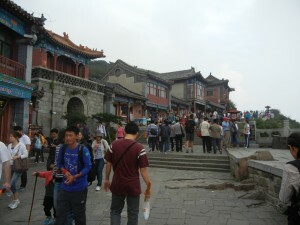 And his ascent up Mount Tai climaxed his work–he communed with its greatest gods and harmonized Heaven and Earth. 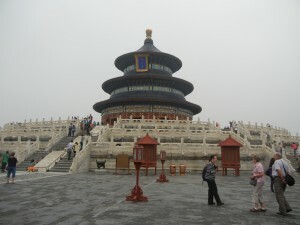 Modern tourists travel in Qin Shihuang’s footsteps. 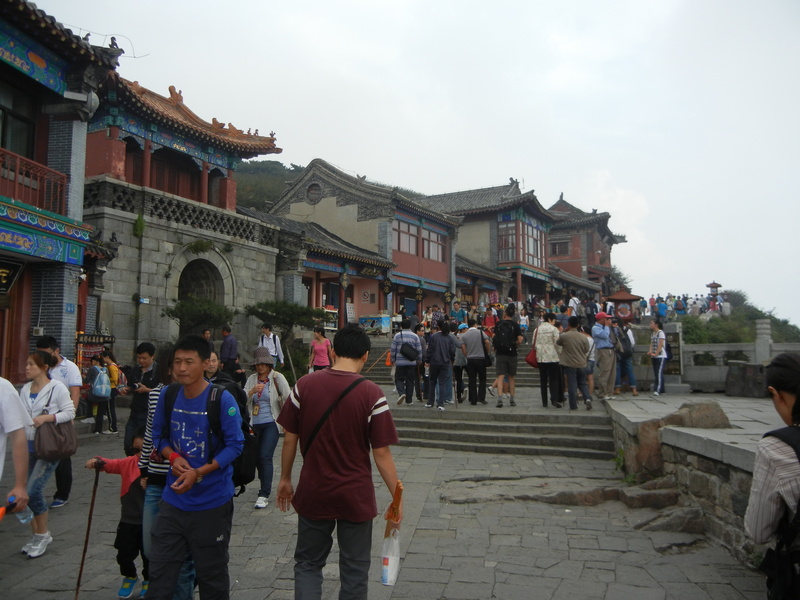 But modern archeology has explored many sites that suggest that he was following people who lived more than 2,000 years before he commissioned the terra-cotta army and went up Mount Tai. Come and explore some of Chinese culture’s oldest roots. 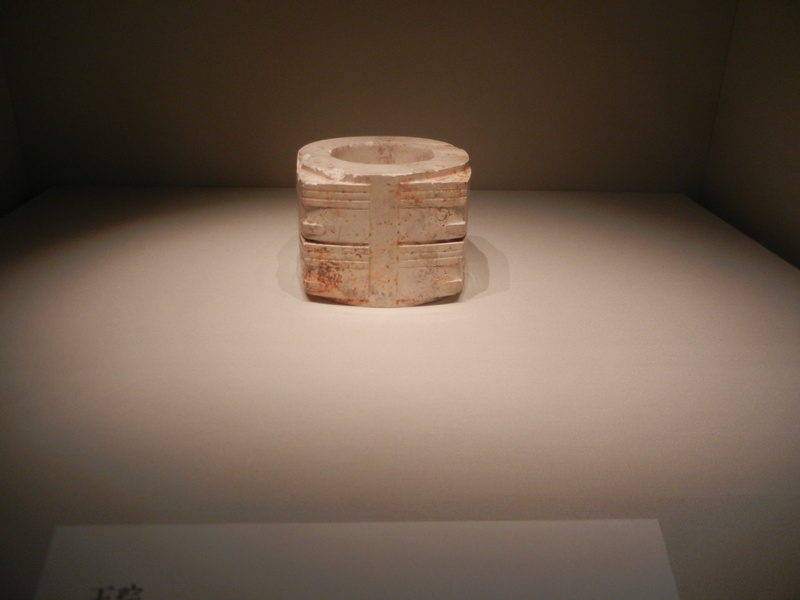 The Longshan period (3000-2000 BCE) was very formative in Chinese civ. Cultures centered on farming grew all along the Yellow River and Yangtze River. They built large settlements with rammed-earth walls, and economic divisions grew between people. Political leaders used increasing force to control their areas, and to compete with other societies (according to Shao Wangping, in The Formation of Chinese Civilization, ed. Sarah Allan). These societies also traded with each other, and ideas and art forms were being shared throughout the land, and reinforcing cultural patterns that Chinese thought is rooted in. One of the wealthiest cultures from Longshan times was the Liangzhu (3300-2000 BCE), which thrived in the lower Yangtze area. Its people farmed rice and built stilt homes to adapt to the area’s wet and torrid climate. K. C. Chang, in the Cambridge History of Ancient China, wrote that jade ritual objects were found concentrated in the graves of a small percentage of people who were privileged to conduct shamanistic rituals and visit Heaven. The cong (pictured above) is one of the most common types of jade objects. The square shape symbolizes Earth, and the upper round form is Heaven. Chang wrote that many scholars feel that this vessel allowed its owner to ascend from the former to the latter. This is just a theory, but K. C. Chang was a very distinguished archeologist, and his opinion deserves to be considered. If it’s true, we can see roots of several key ideas in Chinese civilization in this simple shape. 1. The idea of Earth as square. This was later developed into a cosmology based on four directions, by the late Shang Dynasty (1200-1050 BCE). 2. An image of Heaven and Earth in a simple symmetrical form which closely integrates both. The later circular yin-yang symbols elaborated on this image. Westerners have often seen both domains as distinct, whose borders are guarded by a jealous god. But Chinese have usually seen nature as a whole, in which the yang patterns of Heaven and the Yin of Earth intermingle. 3. The political ruler’s ability to rise to Heaven and thus be empowered to put the state in harmony with the cosmos. Qin Shihuang thus might have been taking footsteps that were already ancient. Only the scale of the ritual would have been different–the Temple of Heaven in Beijing (pictured above) was built in 1530, and reconstructed in 1740, to let emperors put the state in order without making the long journey to Mount Tai. So it’s possible that some of the most unifying ideas in China were rooted in the period when agricultural cultures grew and traded. Other ideas and images that Chinese culture has emphasized have very ancient roots, including dragon lore. The more archeologists uncover, the older and richer Chinese civ becomes. Previous post: Inside China’s Terra Cotta Soldiers’ Heads; The Intellectual Breadth Of Ancient China.